The King started school. Okay, wait; let’s not get ahead of ourselves. 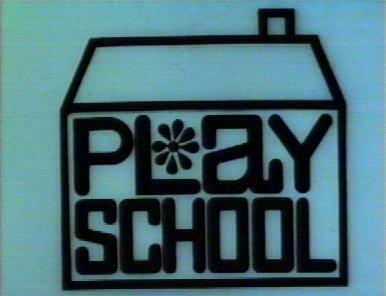 He started a playschool, which is not exactly nursery and not exactly school. Let's just say that for two mornings a week I will be dropping him off somewhere and that glimmer of freedom is setting my heart a twitter. Now don’t get me wrong, I love my son. But 18 months of full-time mommyhood would drive even this teetotaler to contemplate necking down a bottle of wine at 2pm. It ain't easy work I assure you. This milestone in the King’s life is of course bringing up mixed up emotions for me. One the one hand, as I said, a few hours where I don’t have to wrestle him into the pram (a major tantrum inducer) or negotiate with him that oven mitts are not something to bring to the park, is a good thing. On the other hand, you are suddenly hit with the fact that your baby is growing up and turning into a proper little boy; and this is downright sobering. You are hit with flashes of irrational thoughts like, 'will he need me anymore? Will he still want to come and cuddle me? Will he be asking for the car keys for the car we don’t have and be demanding money for more apple rice cakes?' I told you, it’s far from rational. The most interesting part of play school -for me anyway - is watching him interact with other adults and children in a more structured setting. For the first few days they have you hang out in the same room with your children, so they don’t feel abandoned, and you don’t have a breakdown that you’re leaving your kid with total strangers. [My partner did contemplate strapping a camera to the King's head to record what took place in our absence, but I talked him off the irrational ledge]. The King of course spends the first hour rounding up every car in the room and piling them up on the chair next to me. The boy is obsessed with cars, tables and chairs at the moment. After he realizes that I’m not going anywhere, he starts to venture out into the room and check out the goods, so to speak. This entails more cars, more chairs to get up onto and down, up, down, up down (yawn), and of course more tables in which to line up his cars on. [The boy has a frightening sense of precision and focus; I love this about him]. His curiosity with the other children is minimal and every time an adult comes up to him to try and interact, he gives them a look as if to say, 'don’t even try it I know what you’re trying to get me to like you.' He takes awhile to warm up to people, but then give him ten minutes and he ends up sitting in stranger's laps stroking their hair. What can I say, he's the King. The funniest part is watching all these little people move about the room and negotiate with other little people in regards to who gets what, and who’s going to win the various battles that ensue over various toys. Lucian always looks a bit stunned when someone else tries to take the toy he is playing with. He then looks over at me as if to say, 'are you going to let this small person steal my car or what?!' And then he proceeds to hold on for dear life and pull as if his life depends on it. Sharing is not currently his strong suit. Of course all this toddler animosity disappears as soon as the table is set up for snack time. You have never seen so many contented jam smeared faces in your life. Of course the King still thinks that any food on the table, no matter on whose plate it’s on, is his. Again, sharing, we’re working on it. After three hours of sitting in a chair watching the King navigate the room I was able to sneak out for ten minutes to have a coffee. As I was leaving I saw the King take the hand of one of the adults and smile at her with all the charm he could muster. I told myself, as much as it kills me to see him growing up so fast, watching him do so is pretty darn cute.